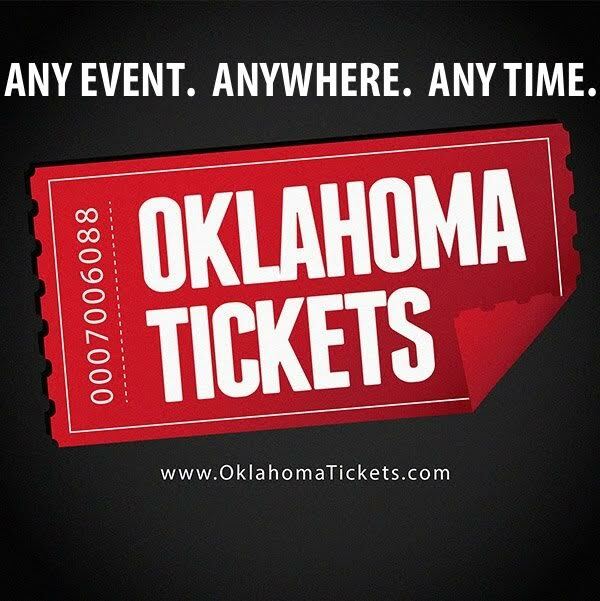 As the University of Oklahoma’s women’s gymnastics team prepares for a new season, their sights are set on an old goal – win a national championship. That expectation has become the norm under 14-year, head coach K.J. Kindler. The Sooners already have three national titles under Kindler’s guidance, and the team may have its most talented roster as they look to make a push for their fourth title. The drive for a championship in 2019 is fueled by heartbreak from the 2018 National Championships in St. Louis. Oklahoma looked to be in control and on the way to back-to-back national championships, only a near perfect score could possibly beat them. Unfortunately, that is exactly what happened. UCLA standout Christine Peng-Peng registered a perfect 10 on the balance beam and the UCLA Bruins took home its first national title since 2010. Despite the disappointment, Kindler took pride in how her team performed. That next moment for the Sooners began as soon as they returned home from St. Louis. With a strong roster of returning talent and a solid group of newcomers, the Sooners immediately hit the gym with the focus of getting back to the top. Any extra motivation the Sooners might need was helped with their pre-season ranking. Despite registering more first place votes than any other team, the Sooners found themselves in the No. 2 spot, looking up at pre-season No. 1 UCLA. This No. 2 ranking marks the ninth straight year the Sooners have been in the top five nationally to begin the season. But No. 2 is not a place OU is used to. This is the first time since 2015 that the Sooners have not been in the top spot to start. Despite their rank, OU’s 2019 roster is stacked. The Sooners return six gymnasts who combined for 13 All-America honors in seniors Brenna Dowell and Nicole Lehrmann, juniors Jade Degouveia, Maggie Nichols and Bre Showers and sophomore Anastasia Webb. Dowell and Nichols also combined for four individual national titles in 2018. In addition to the returners, the Sooners have added newcomers Karrie Thomas, Emma LaPinta, Allie Stern and Olivia Trautman. The return of Maggie Nichols provides the Sooners with one of the most electric, dynamic and decorated gymnasts. 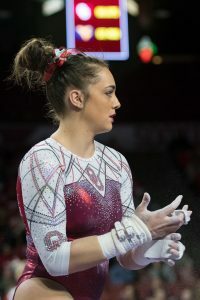 In 2018, she held the top spot in the all-around every week of the season, culminating in an NCAA Individual National Championship in the all-around. Nichols added two more national titles on bars and floor. She is the only gymnast to ever post two perfect 10s on every event, becoming the first and only gymnast to post back-to-back “Gym Slams” with a 10 on every event in consecutive seasons. Along with her honors on the national level, Nichols was also the 2018 South Central Region Gymnast of the Year, the 2018 Big 12 Gymnast of the Year and a two-time Big 12 Individual Champion, in floor and all-around. The talented junior has garnered every imaginable award possible and continues to step up her game, not only in the gym but also as a leader. The talented Sooner roster will be challenged by one of the most difficult and exciting schedules in program history. The Sooners’ home slate features four powerhouse meets with competition against 2018 NCAA Championship teams Alabama, Florida, Georgia and UCLA. Along with Oklahoma, the five teams have combined to win the last 23 NCAA Championships.